Wheels are the most crucial part of any means of transportation. It is even more important for adventure sports instruments like Longboard, skateboard, and Ripstick. So, the right or best longboard wheels deserve the toughest scrutiny given the role it plays in a smooth and fast riding on longboards. The overwhelming task about longboard wheels is to find the specific type of the wheel for carving, cruising, and sliding turns. 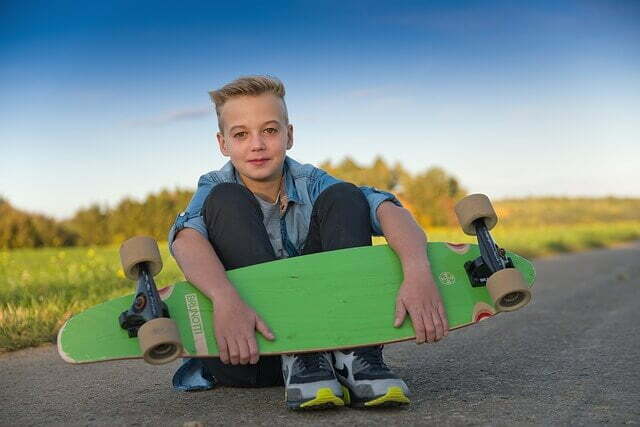 Thought the terrain and the purpose of longboarding decide whether you will go for the best longboard wheels for cruising or the best longboard for sliding, it is the wheel and its mechanism should fit the freeride or downhill rush. You might have gone a bit confused and started considering the selection of the right one will be the most critical job. Just have a go through the main features, the mechanism of a longboard wheel, and the updated styles and designs and you will find the selection process to be a super fun. It is just like overcoming different layers of a curious and funny game and not rocket science. 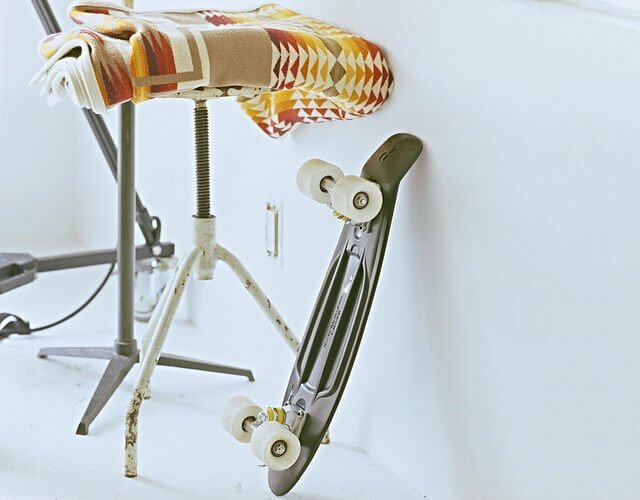 We have conducted a combing research to present these factors in an engaging way and gathered 7 most appropriate longboarding wheels that will make cruising, carving, sliding, and commuting on a longboard a cool pastime or adventure. So whether you want to win a downhill rush title or amaze people with stunning cruising tricks and twists in the streets or skateparks, any of the recommended longboard wheel brands will serve you to your heart's content. What are The fFeatures, Components, and Mechanism of a Longboard Wheel? How to Buy the Right Longboard Wheel? 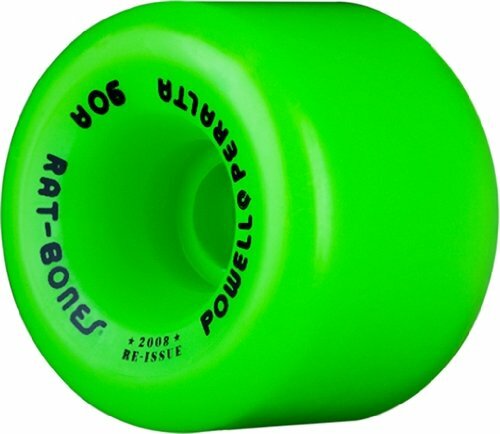 What is a longboard wheel formula? What is a LED light up Wheels? It is tempting to start with the excellent numbers Sector 9 Skiddles presents. This sliding wheel comes with 70mm of diameter and 78a of hardness or durometer. This is the softest and largest wheel that will exercise the utmost stability while riding. Despite the taller size and softer urethane, this is not completely a downhill wheel brand as the thinner contact patch of 28mm will make it ever-prone to slide at will. 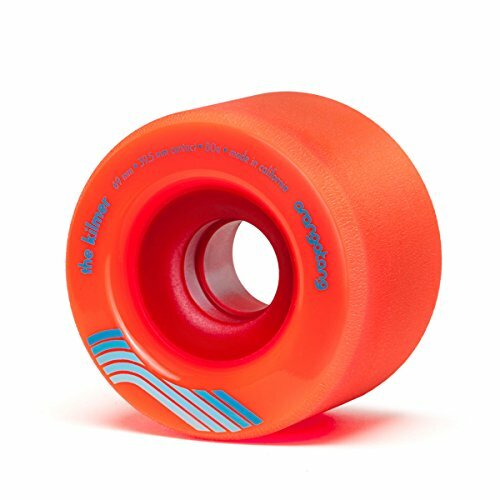 This is an excellent go-between as you can use it with the largest longboard deck to provide you with stability and control; at the same time enable you to reign the freeriding scene with car tire type rounded wheel. But a starter longboarder goes for this set of wheels for the core setting and the Offset core placement enhances the grip on the road tilting it more towards the downhill side. That means you can run along a hilly slope, take turns at the snaky twist, and remain stable on board. The multi-color availability is a strong popular appeal as they inspire a rainbow aura while breaking down the tracks. Your kids will just jump at the sight of a set of four dazzling color wheels in a longboard. The color gallery and the sector 9 associated smooth rides have made it really a flying beauty. Predictable and tame response at slides. Grow coarser than other thane formula wheels. The statement of the detail features will just remind you one thing and that is Orangatang wheels are made and intended to do the best. And they always are dedicated to one single longboarding style. Yes, you are smart enough if you think that I am terming it the best longboard wheel for sliding. 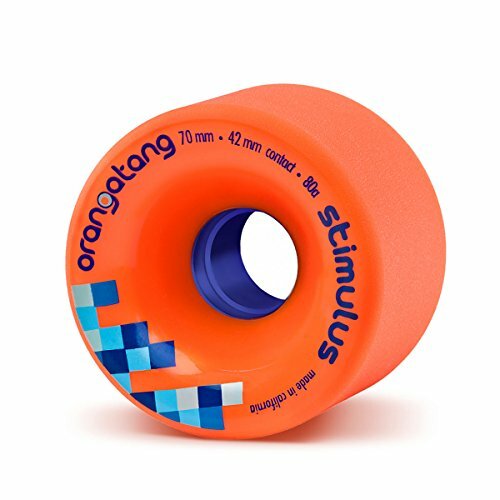 With more in-depth knowledge of the features, you will agree that Orangatang Stimulus is meant for speed and slide associated with freeriding only. It presents the color accent durometers – Orange 80a, Purple 83a, and Yellow 86a. Yellow 86A being the tougher wheel, moves with the fastest speed and slide easily. On top of that, the given urethane formula has rendered it the most durable lifespan and smooth ride. The company has engineered it to be the perfect all-rounder with the combination of higher hardness and massive contact patch of 42mm with a wheel breadth of 49mm. On top of that, the big diameter of 70mm has enhanced the grip on road and maneuverability in riding. But this flatness will not the least affect the transition of racing mode to freeride – sliding and flipping for freeriding. It is all because of the materials formula (Urethane) and geometrical edge engineered by the manufacturers. Most stable and versatile freeriding wheel. Masters of none of the wheeling tasks. The most reputed wheel in the industry is this one featured with the Butterballs. It is actually a double-edged sword for its dual capabilities – the tight grip on the road and can flip or drift when necessary. Thus they get you rid of the wheel bite at shifting to a new road or trail. 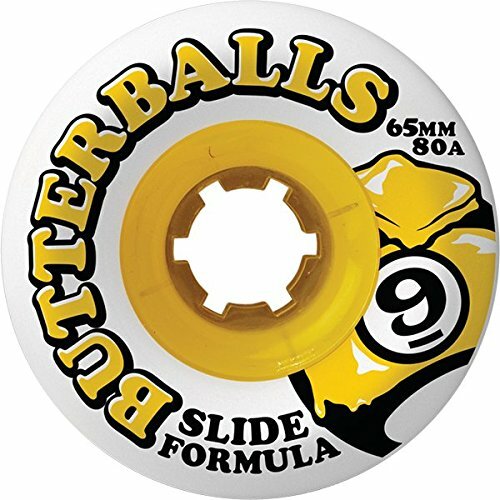 Butterballs offer the amazing smoothness and buttery flow at riding. This slide formula wheel comes with 70mm diameter, 80a of durometer, and medium contact patch of 38mm. The amazing numbers witness the in-between approach this wheel is designed and made. It is neither very tall nor very soft. Above all, the Centerset core placement has made it the most durable and decay-resistant longboarding wheel. The centerset core will ensure the balanced heat distribution while moving and thus prevents overheating-inspired melting and deforming. It can speed up conveniently to enable the boarder to go for freeriding. Thanks to its urethane formula that endows it with the ability to slide smoothly and safely. One upside is that like all multi-purpose longboarding wheels it shows flex and lagging in the speed-oriented long-road and straightway. Can flip and slide at will. May not match high level freeride. This Blood Orange version of Morgan Pro series wheels is backed with premium quality urethane formula. This is the feature that makes them super fit for smooth, swift, and speedy slides. This model of Liam Morgan longboard wheel has done the perfect justice to the brand value Morgan enjoys and stands for. It is backed by the most versatile and amazing specification with 70mm size, 80a-84a range of durometer, and a reduced contact patch of 32mm. It is pretty evident from the numbers that the geometry applied by the engineers is intended to make it a versatile wheel to both race and freeride with ease. It is neither a square size nor a dedicated rounded wheel but is able to reap the benefits provided by both. It will never slide unexpectedly in a downhill race and also will not stick or resist while you want to play tricks in cruising in the free streets. 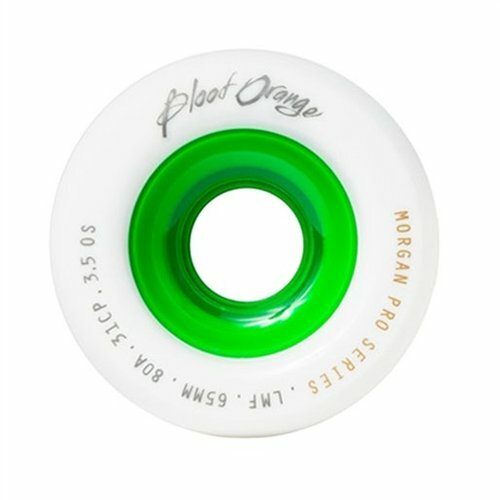 Two things you must take into positive note other than the said ones – the thane and chalky line left by Morgan wheels and handling of any terrain with defiance – will certainly boost you while longboarding. On top of that, after extended use and abuse, this pro series wheels show minimal wear and tear. Smart and smooth kick out. Orangatang Kilmer stands out not only in the industry as the best freeride wheel support rather it is superior to other versions of Oranatang. And the superior virtues to start with is the manufacturer's proprietary Peachy Thane Formula – a wonderful combination of greasy Euphorethane and ultra-sticky Happy Thane. You can go for Kilmer merely judging by this materials proportion. So now you can enjoy the long straightway freeride with extreme play and you can run stable without risking any downhill slide. Now let's explore a bit the specifications presented by this above-the-board wheel. The durometer offered by Kilmer is surprising and charming too the moderate range 80a-86a hardness comes with three different colors. Now you obviously can sacrifice your color preference for the chosen durometer. The excellent contact patch of 39.5mm is a medium contact space for any longboard wheel to move at the touch. This ever-ready moving tendency is supported by a little cut-down diameter of 69mm. It required little hints that this is a beveled shaped wheel to play the go-between rule of longboarding. With the aforesaid specifications and innovative formula, Kilmer has developed a fame of delivering smooth freeride and racy longboarding. The material combination rises above all for this versatile performance. Rat Bones are the popular longboard wheels of classical time when smoothness and speed were preferred to other wheeling characteristics. But they still rival in the longboard industry by the virtue of their quality urethane proportion in the making. The original urethane formula along with the smaller diameter of 60mm has made it singularly the best carving wheel in the industry. Therefore, if you are a dedicated longboarder for carving, you should keep all the other recommendations aside and go contended with that. Let's give you more statistics to make your decision firmer in its favor. Rat Bones will defiantly fight the rolling surface strewn with cracks, debris, gravel, pebbles, and rocks with the soft durometer scale of 80a featuring the ultra-grippy hold. For this reduced durometer, they may not be the best slider but you can obviously challenge any pro cruiser with the carve Rat Bones plays. With the rounded edge, medium contact space, and urethane coating, they will not fail you miserably in racy longboarding too. Medium patch and urethane to bear the wear. A real cruiser, not a slider. The specification detail will make it clear that there can be no better starter-friendly and downhill longboard wheel than this one. Actually, this is sized, styled, and designed keeping the downhill riders in mind. A downhill rush needs a set of wheels offering the extra-grip coming out of a wheel having a lower durometer. And it requires speed and control that only bigger wheels can give. 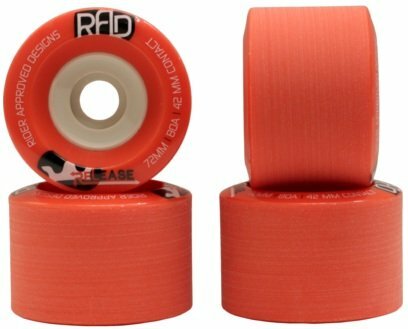 RAD passes this premium test as it comes equipped with a low durometer of 80a and larger 72mm diameter wheel. With the lower durometer and ultra-sticky hold, this wheel will drive you through the coarse road with frequent cracks and pebbles, debris, and gravels lying on. Moreover, RAD presents larger cores and so fights the overheating ably to prevent melting and deforming. Along with an extended wheeling lifespan, it ensures added speed and slides if you wish to opt for freeriding at times. A longboard wheel is rather a mechanism than a longboard component. It has several components like bearing, bearing case or core, and the wheel itself. Movement of the wheel is the combined mechanism of all the said components. And the quality and setting of the components influence and determine the pace and type of the wheeling movements. So far the features are concerned; the size, shape, durometer and core engineering of the wheel are all. Let's now go a bit brief about those. As any wheel is a circular instrument, the size will be determined by the diameter of the wheel. The distance between any two opposite points of the wheel surface is the size of the longboard wheel, in fact, any wheel. But longboard wheels don't come in one size and so it is crucial to decide what size of the wheel you need. The size of the longboard deck and purpose of longboarding will help you effectively in this regard. A large deck can ride with any size of the wheel but a smaller deck will certainly go smoothly with a smaller wheel as a bigger wheel will cause wheel bite at turning and carving. Below you can go with a general guideline of a deck specific wheel size diameter. A deck board of 40" length suits the 70-75mm range of wheel diameter. The medium length 34"-39" board deck matches well with a wheel of 68-72mm diameter. And the smaller size wheel of 60-67mm diameter will offer a smooth ride with the boards sized below 34". The hardness of the longboard wheel is a crucial consideration as the varied toughness responses differently with the same terrain. To make it clearer, you should choose you longboarding wheel keeping the terrain you will ride most in your mind. Softer wheels tend much grip on the terrain ensuring stable and steady ride but offer reduced speed. On the contrary, the harder wheels can't exercise a tight grip on the road but can move and accelerate faster. The hardness of a wheel is measured by a letter that follows the number. Different companies use different letter but the numbers signifying the scale of toughness remain same. The most popular and common letter for Durometer is A and the scale is presented by the scaling range 1-100. While the diameter of a longboard wheel is determined by its board length, the durometer is fixed by the type of the terrain you will ride on. The longboarding wheel durometer measurements the industry uses commonly start with 78a-87a durometer range. Wheels featuring this range suit behave the best with the rough surface terrain. The rail strewn with pebbles, debris and gravels meet with a stable grip with the board wheels of the said hardness scale. On the other hand, the smooth surface that a starter finds convenience to ride on goes well with wheels featured with 96aa-99a durometer. There is a go-between durometer scaling 88a-95a toughness and a wheel featuring this medium durometer feel a bit harder than the first one and softer than the second. Longboard wheels with that scale match the street having cracks and rough terrains. The shape of the wheels matters much. The wheels shape influences the carving, speed, and turning of a longboard. Longboard wheels come in three variations of shape. All the wheels are circular but the shape here refers to the angle between the edge and the surface contacting the road. Three shapes are common in the industry. This kind of shape gives the wheel an enhanced grip on the trail and the rider feel the most stable and secured while riding. The starter longboarder and the one willing to enjoy the downhill exhilaration opt for that shape of a wheel. The slant a downhill path offer will make the board move swiftly and square contact will provide with the firmness and resist any risky slide. It merits little explanation to convince you what a rounded edge or wheel shape stands for. A rounded edge wheel enables the board to slide, carve, and cruise at the boarder's will as that type of wheels shares the least wheel surface area with the road. The freeriders chose it for less moving friction and smooth running. Wheels shaped in beveled edge enjoy the firmness of the square edge and less friction of the rounded shape. It serves best when you ride on a hilly terrain where you can maintain longboarding swift move and firmer grip on the terrain to fight the sliding tendency of a rush. These said three shapes offer three different types of contact patches to contact with the road surface. The contact patch stands for the portion of the wheel surface that remains in direct touch with the surface of the road. This is not tough to understand that the square shape wheel offers the most patch, rounded shape the least patch, and the beveled shape the medium patch. The more contacting patch a wheel shares with the road, the firmer the grip it will offer. And the firmer the grip a wheel bids, the reduced the speed and slide it will produce. Core means the inner track of wheel where the bearing sits. The core placement is very crucial as it protects the wheel from overheating by dispersing the heat across the diameter. The industry grade wheels introduce three types of core placements – Centerset, Offset, and Sideset. Centerset wheels ensure most control and enable the rider to flip and pivot with sufficient swiftness and agility. And the balanced heat distribution of centerset wheel extends wheel life. The Offset core or backset core wheel is convenient for the free-riders to play tricks by carving and sliding fast. The Sideset core gives the wheel the firmest grip but this type core setting comes with a hassle of showing resistance while trying to flip. Characteristic of a wheel largely depends on the materials the wheel is made of. Wheels mostly are built with urethane or polyurethane. The proportion of urethane used to make the wheel determines the behavior of a wheel along with the durometer scaling. Judging by the amount of polyurethane or urethane formulae used in the wheels, the industry divides the longboarding wheels into two different categories – Freeride formula for fast longboard wheels and Retro/Reflex formula for downhill longboarding. The former offers a flexible ride and the later backs you with control and added grip while running downslope. Therefore, be careful of the material formula followed by the manufacturer along with the durometer statement while pondering over the hardness of longboarding wheels. The right longboard wheel refers to the type of wheel that will serve your specific longboarding purpose and suit the longboarding track to frequent on. If you are a starter and want to master in a downhill rush, the right set of wheels for you will be ones having a larger size, lower durometer, and square size with massive contact patch. But the bigger size and larger contact patch will have issues with rough terrains. 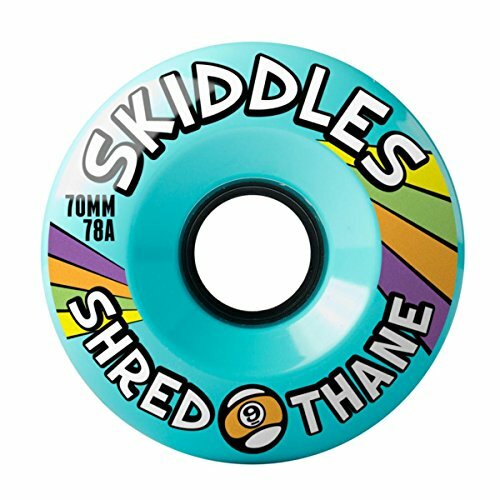 If you are a cruiser to freeride the city and street to surprise people with stunning tricks, flips, and carvings, you should be after wheels offering higher durometer, reduced size, and freeride associated urethane formula. When longboarding is your pastime, not a passion, you can go in-between with the specifications and features of wheels. That type of wheel will offer a medium durometer, midsize wheel, and balanced urethane characteristics. Those wheels will let you carve easily while approaching a turn in the hilly area and also will give you stability to avoid unwanted sliding. This is the popular type of wheels the market is getting studded with. There is another factor to test if you want your wheel to last long and want to avoid untimely melting and deforming while riding, you should go for the wheels having centerset core placement. This will have a minimal impact on your type of riding but a longer wheel life is ensured if your wheel is featured with a centerset bearing case. So, which longboard wheels among the recommended brands will suit your longboarding purpose and terrain? All the wheel brands except the last one are versatile wheels to provide speed, safety, control, and stability in downhill longboarding and the flexibility, carving, and sliding in cruising and freeriding. If you want to be a pro go for a specific version instead of the versatile one. But don't forget to match the deck board length with your wheel diameter. Formula is an important characteristic of a longboard wheel that relates to the urethane proportion used in the wheel manufacturing. Different companies use different formulae. There is two known formula - one that enables the wheel response in sliding and carving in free ride and the other urethane proportion make the wheel grippy to resist slide while racing downslope. This light up feature has nothing do with the performance of the longboard. It is just a style statement suitable for the kids and popular among the kids as well. These wheels light up the terrain with LED light to declare its existence and arrival. This acts as a protection measure for the children gliding at dusk. The stunning look is the addition they offer. Unlike the ones with LED lights, these wheels come with an innovative idea. These wheels come with a mixture of square and round shape. These oddly shaped wheels offer traction on wet terrain, sliding at cruising, and seamless rolling. Moreover, it offers you the unique look. So far carving is involved; this peculiar wheel shape has just revolutionized the field of cruising. To sum up, we can say that the foremost task is to decide at the very outset what purpose your board must serve. With this single decision, go through this article, you will surely come out with your right choice. Moreover, you can become a moving storehouse of the features, styles, and designs, and construction of longboard wheels. These top 7 reviews of longboard wheel will equip you with the exposure to prevailing longboarding tendency of the industry.